*Non-Local Flow: Good Chi, The Sea and Me: A Journey of Discovery Through Art and Travel by Tanya Orme. Price: Free. Genre: Biographies & Memoirs. Rated: 5 stars on 7 Reviews. 215 pages. ASIN: B00ACCSA0S. New Zealand Travel Magic #2: Coromandel Peninsula by Scott David Plumlee. Price: Free. Genre: Nonfiction, Travel, Specialty Travel, Budget Travel. Rated: 4.7 stars on 4 Reviews. 51 pages. ASIN: B00UXX3S0S. Posted on June 30, 2018 Author KibetCategories Biographies, business, Free Travel Kindle Books, memoir, TravelersLeave a comment on Kindle Travel Deals for Saturday! *Your Grand Canyon Adventure: A Local’s Guide to Making Every Second Count! With 5 Days of Itineraries by Ed and Mikki Hirschfeld. Price: Free. Genre: Nonfiction, Travel, United States, Regions, West. Rated: 5 stars on 3 Reviews. 157 pages. ASIN: B07DZK94NK. Posted on June 30, 2018 Author KibetCategories Free Travel Kindle Books, TravelersLeave a comment on Kindle Travel Deals for Friday! *A Chase Through Time: An RV road trip to Nevada desert will allow the DreamCatchers to travel from China to NY to meet eggshell artists and fashion icons that will teach them Balance in the Universe by M.G. Pappas. Price: Free. Genre: Health, Fitness & Dieting, Counseling & Psychology, Mental Health, Dreams. Rated: 5 stars on 5 Reviews. 67 pages. ASIN: B07FGWRBJT. Posted on June 28, 2018 Author KibetCategories Free Travel Kindle BooksLeave a comment on Kindle Travel Deals for Thursday! An engaging and thought provoking read! 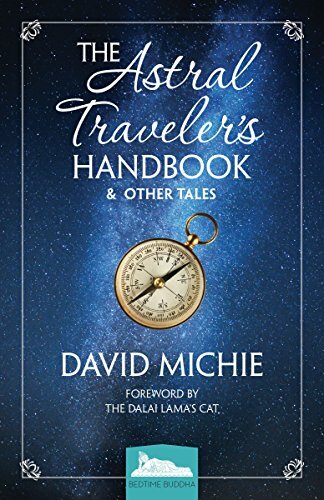 *The Astral Traveler’s Handbook & Other Tales (Bedtime Buddha 1) (Deal, Not Free) by David Michie. Price: $2.99. Genre: Non Fiction Deal, Sponsor, Self Help, Self Discovery. Rated: 5 stars on 4 Reviews. 230 pages. ASIN: B07C9QVML2. ISBN: 0994488165. Get the paperback here for $12.45, please. ***Man & Horse: The Long Ride Across America (Deal, Not Free) by John Egenes. Price: $0.99. Genre: Biographies & Memoirs Deal, Sponsor, Travel Memoirs, 1974, 7 Months Journey across North America. Rated: 4.7 stars on 126 Reviews. 291 pages. ASIN: B075821TZ7. *Best Cruise Tips: 303 Cruise Hacks Saving You Time, Money & Frustration by Randall Stewart. Price: Free. Genre: Travel, Specialty Travel, Budget Travel. Rated: 5 stars on 17 Reviews. 121 pages. ASIN: B07DH9JK6G. Posted on June 20, 2018 Author KibetCategories Biographies, Free Travel Kindle Books, memoir, TravelersLeave a comment on Kindle Travel Deals for Wednesday! Amazing Free Kindle Time Travel Science Fiction Books for Thursday! *Miracle Man by Todd Cramer. Price: Free. Genre: Science Fiction of the Day, Sponsor, Time Travel SciFi. Rated: 4.2 stars on 3 Reviews. 193 pages. ASIN: B07D92ZBHL. *Rain Dogs (A Portrait Of The Rock Star Book 1) by Travis E. Hughes. Price: Free. Genre: Time Travel Science Fiction of the Day, Historical. Rated: 5 stars on 7 Reviews. 224 pages. ASIN: B07CKKNG5Q. Posted on June 14, 2018 Author KibetCategories Free Travel Kindle BooksTags time travelLeave a comment on Amazing Free Kindle Time Travel Science Fiction Books for Thursday! *The eNotated Sailing Alone Around the World by Joshua Slocum, Chris Thomerson. Price: Free. Genre: Nonfiction, Travel, Sailing. Rated: 4.5 stars on 8 Reviews. 808 pages. ASIN: B004J1739M. *PARAHAN: The Earth We Live on Has Been an Imprisonment System (Deal, Not Free) by KEVIN BROWN. Cost: $0.99. Genre: Time Travel Science Fiction Deal, Sponsor. Rated: 4 stars on 25 Reviews. 317 pages. ASIN: B07B4RTG9F. ISBN: 1980269122.